We had our second BBQ in two weeks one night last week, after really being on poor form last year we are making that BBQ work it this year! It was a bit weird to be cooking in the dark (we didn't get going until gone 8pm) but the evening was so warm and it had been a lovely day so it was nice to simply wind down outside with the fire flickering away. 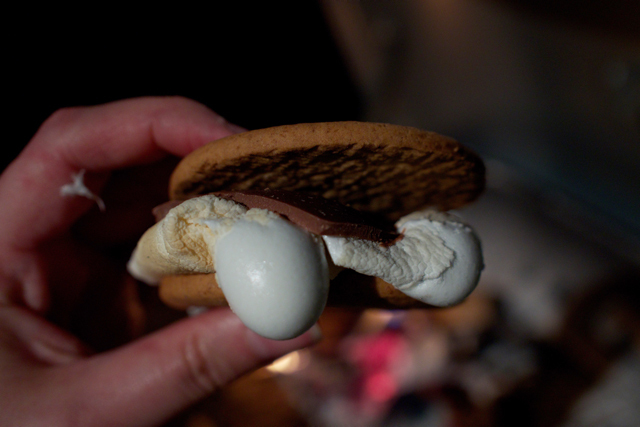 I decided the perfect way to end the evening was with s'mores, made using left over easter chocolate. I know, we have left over chocolate, that's weird isn't it? 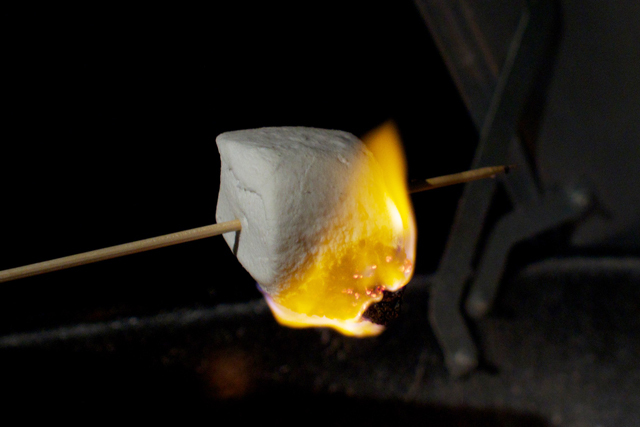 I always keep a bag of those American giant marshmallows in the cupboard for moments like these, I would never recommend you buy them to eat plain, they taste a bit weird, but slowly melted over the hot coals (or set on fire as James prefers) they have a delicious sweet caramelised flavour. They were absolutely a bit of a mid-week treat so I am oh so glad that we did have those left overs, something about the chocolate being thinner than a normal bar makes all the difference. 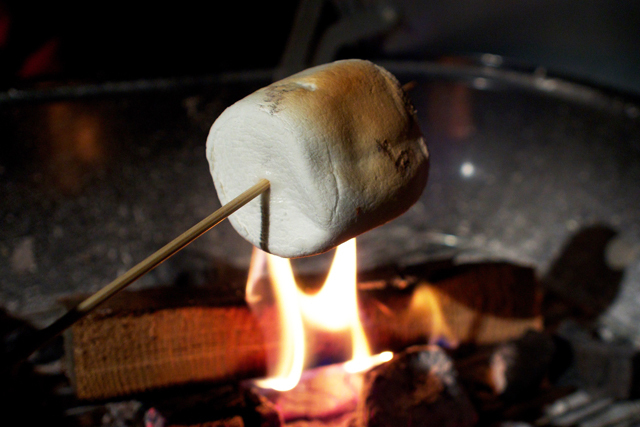 How would you make your ideal S'more?